It’s Blizzard Season, Schedule Backup Generator Repair NOW!It’s Blizzard Season, Schedule Backup Generator Repair NOW! It’s Blizzard Season, Schedule Backup Generator Repair NOW! This weekend’s snowstorm is a preview of what’s to come for the rest of the winter. While it started out mild, it looks like we’ve run out of luck here in Maryland. The last thing you want in two feet of snow is to lose power and heat. In this day and age, most homes no longer have fireplaces and other traditional means of heat or cooking when snow wreaks havoc. If your backup generator needs repairs or seems like it may be on the fritz, now is not the time to take chances. 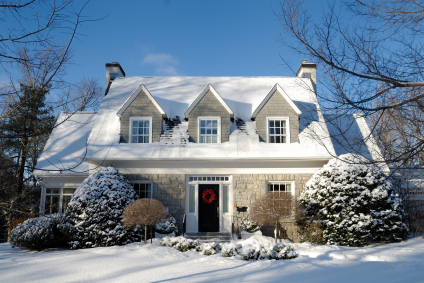 Call TriStar Electric and schedule your generator repair as soon as possible, so you can have some peace of mind even with several feet of snow in coming. Backup generators aren’t just useful for snowstorms. Any threats of power loss or blackouts can benefit from having one. Some of these threats (beyond snow) include: hurricanes, earthquakes, thunderstorms, tornadoes, flooding, ice, hail, and any other natural disaster that can take down power lines. Depending on the situation, it can sometimes take days, or even weeks, for power to be restored. This isn’t a worry for a home with a backup generator. Of course, the backup generator has to be running correctly in order to properly power your home. Trying to run a generator that needs repairs can be dangerous for you and your home. Schedule generator repair ahead of time so you’re prepared for the worst weather nature has to bring Maryland. Don’t have a backup generator? All Maryland residents should have a backup generator option. It may be too late for this blizzard, but schedule your installation now and receive $1,000 off our installed automatic generator package. The offer expires 1/31/16, so make sure you call today. Even if you don’t end up using your backup generator this winter season, there are plenty of other natural disasters that may occur in Maryland throughout the year to be prepared for. Call TriStar Electric for backup generator repair today! If you have any questions about backup generator installation or generator repair, or if you have questions related to your generator, please contact TriStar Electric, Maryland’s premier residential and commercial electrician, by calling 410-799-5791 or 301-384-8880. Or, you can fill out the contact form on our website. This entry was posted on Friday, January 22nd, 2016 at 2:58 am. Both comments and pings are currently closed.